Featuring a strong sense of tradition and classical Victorian grandeur is the Hartsfield Manor Hotel 4*. Set within 16 acres of idyllic Surrey countryside and surrounded by lawns and a garden terrace, this is a natural and peaceful retreat. 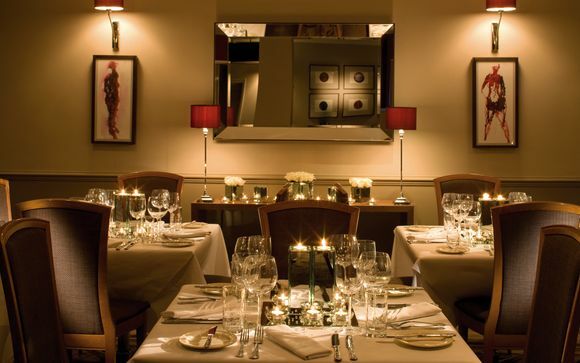 Choose between two room types and opt for our special dinner package while staying at the Hartsfield Manor Hotel 4*. 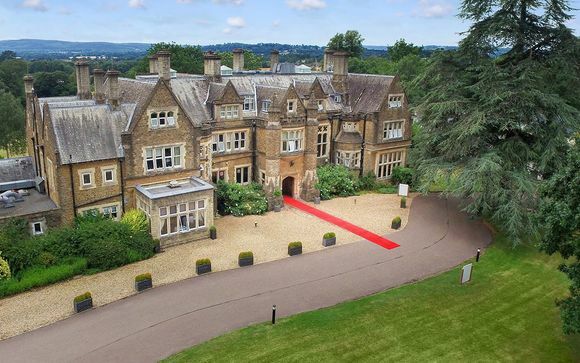 Hartsfield Manor Hotel is located in Betchworth, near Reigate and easily accessible from London. Set within 16 acres of idyllic Surrey countryside and surrounded by lawns and a garden terrace, this is a natural and peaceful retreat. Your stay at Hartsfield Manor places you within easy reach of fun days out, from Chessington World of Adventures to the more serene Hampton Court Palace. 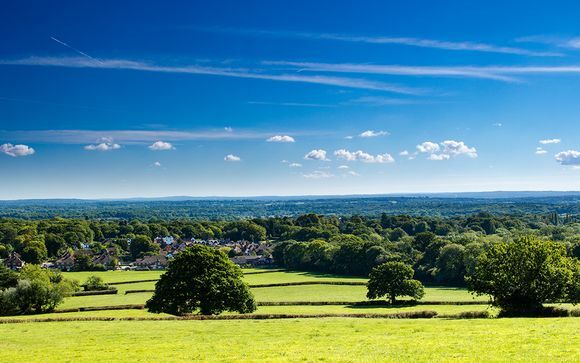 Escape to the colourful and beautiful countryside of Surrey and breathe in the fresh air. This incredibly beautiful area of England is abundant with picturesque villages, antique shops galore, sleepy tea rooms, and stunningly beautiful walks. A slow pace of life and charming hospitality await at the Hartsfield Manor Hotel. Featuring a strong sense of tradition and classical Victorian grandeur is the Hartsfield Manor Hotel 4*. The Hartsfield Manor Hotel is located in the serene Surrey countryside. From the moment you enter its traditionally decorated lobby you will feel as if you've traveled back in time. Admire the antique furniture and classical Victorian character, and wander the lovely grounds for a bit of fresh air. Treat yourself to a traditional afternoon tea, or indulge in our special dinner package at the on-site gourmet restaurant. With a strong character and idyllic location, this is a must-visit countryside retreat! The Annex Double Room is located in the Annex or Cottage and is just a short walk from the Manor House. 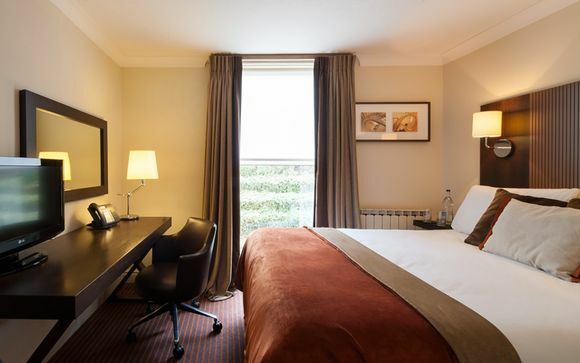 These rooms feature contemporary design and come equipped with a double bed, en-suite bathroom with bath and shower, TV, tea and coffee making facilities, safe, hair dryer, Molton Brown toiletries and complimentary WIFI. Adorned in rich and warm tones, this is a cosy and comfortable abode to return to after a day exploring the serene countryside of Surrey. Why not opt for our special dinner package? Receive a three course dinner per person (to be enjoyed on the first night of stay), as well as one afternoon tea per person per stay. You are able to purchase this for an additional fee at the next stage of the booking process. As part of our offer, our guests can select either: daily breakfast, or daily breakfast with one special three course dinner (per person per stay, to be enjoyed on the first night of stay). At the Hartsfield Manor Hotel, you will find traditional British delights with a refined twist. Dishes are prepared using only the highest quality ingredients and are cooked to perfection. The Terrace Restaurant is a romantic and warm environment in which to enjoy a meal, and the comfortable bar and lounge is a trendy space for a tipple.